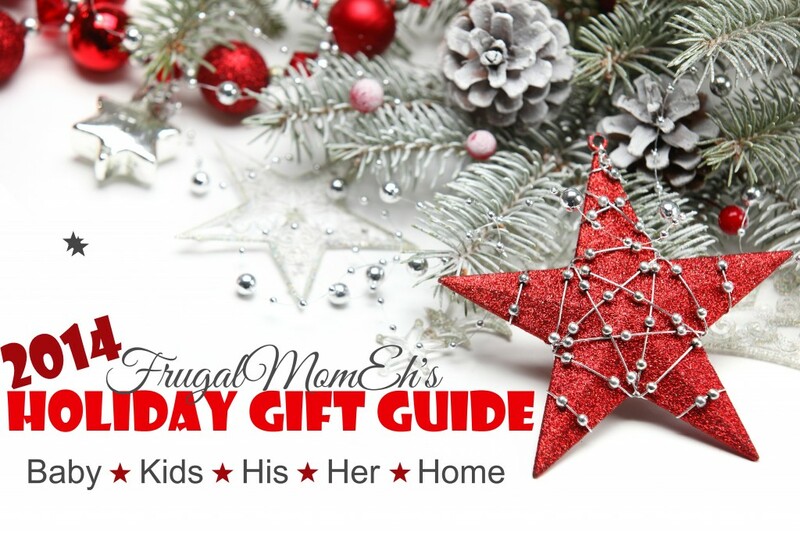 Christmas Treasure Hunt by Roger Priddy #FMEGifts14 - Frugal Mom Eh! 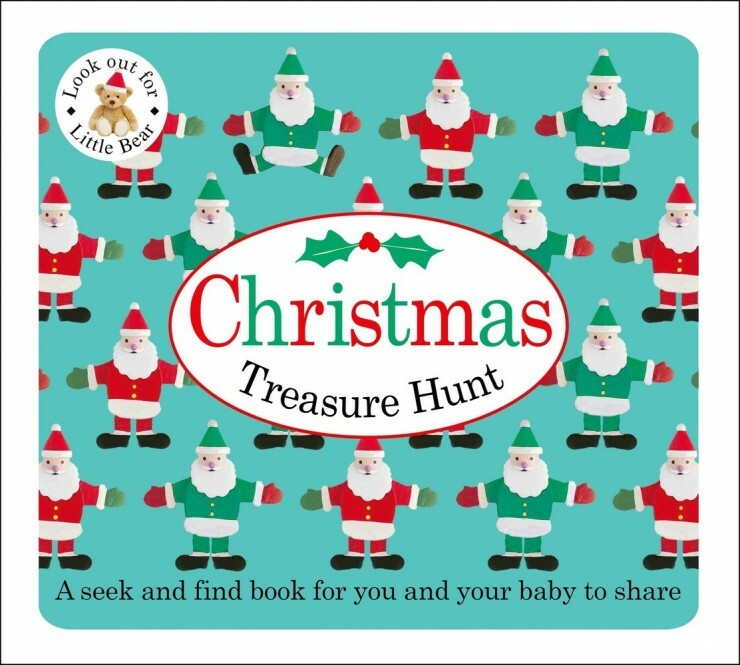 This baby’s Christmas treasure hunt book is full of festive pictures to capture children’s imagination, and help them develop their matching and observational skills. Hidden among the repeated rows of photographs are simple odd-one-out pictures to seek and find, with a clue of what is different given in the rhyming text. *Don’t miss the holiday bear hidden on the pages! He’s sneaky! This is a pretty fun Christmas themed title perfect for babies and toddlers alike. The pages are nice and thick and filled with brightly coloured repeating images. The idea is to point out the images that are different from the rest according to the instructions. As you get further along in the book the challenges get slightly harder – ie they go from one different image to a few. Keira, almost 3, loves pointing out the teddy the most when we look at it together. Ava on the other hand is just turning 1 year old next week and she thinks its just about the funniest book ever judging by all her giggles as she takes it in. She is too young to search for difference or even teddy bears but she is completely taken in by the repeating images. What a fun seasonal title! Suggested Retail Price $9.99. Purchase Christmas Treasure Hunt by Roger Priddy from Amazon or from a local book seller near you! The treasure hunt sounds cute. I bet my kids would love that. These are such great gift ideas for small children! I needed some ideas I have twin grandbabies and I am sure they would love to look at the pictures for now and grow with them. This looks really cute! My daughter use to love stuff like this when she was smaller. What a great gift idea for little ones! I may have to grab one of these for my son! The treasure hunt sounds so adorable. I would love to do these with my youngest. The treasure hunt sounds great. We are always looking for ideas! This book looks like it would be a perfect gift for my girls. It looks so wonderfully made. This sounds like a fun book for kids. I’ll have to check it out. I think this is a nice gift for toddlers. It’s very educational and entertaining. Now my hunt for gifts has just become easier. Looking so cute! My girls always loved treasure hunts. Thanks for this great review. I’ll have to look into this for my nieces for Christmas. Those Christmas bears are very cute, I’d love to have one! Such a great gift idea and book for toddlers. This is perfect for my daughter who has started to show an interest in books. A Christmas treasure hunt sounds like such a great idea. 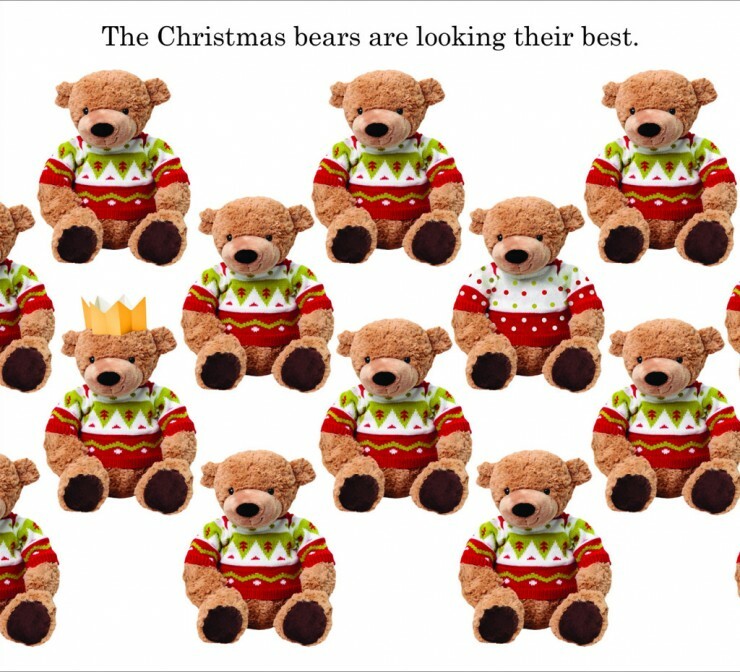 How cute are those bears in their festive clothing! Great book and I just love all those bears lined up. Kids love the thrill of treasure hunting. That sounds like a fun book. That sounds like an amazing book. A Christmas treasure hunt is so much fun. This looks like a great book for a toddler. I love that it’s educational and fun. That would be so fun. I love these ideas! Kids love seek and find books! This would be fun to read with your little ones. Aww what a cute book! I bet my little guy would love this. This does sound great. And I have zero doubt that London could inspire a writer over and over again. It’s a wonderful city! They just ripped at the pages and would never sit still otherwise. Perfect book for the Holiday! I think this is also good to give as gift! The treasure hunt book sounds so adorable and I would love to go through it with my niece. The treasure hunt sounds fun !